Respected stand up comedian known for his uncompromising and fearless style of comedy. He was a cast member on Comedy Central's Tough Crowd with Colin Quinn. Comedy Central aired his only hour-long special, Elephant in the Room, in 2011. After a long drought, he got a Showtime half-hour special, a writing gig for the Colin Quinn show, and a Comedy Central Presents special. He appeared on Showtime at the Apollo, The Office, Chappelle's Show, and had a brief stint writing for the WWE. 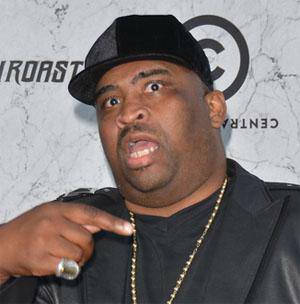 He was born Patrice Malcolm O'Neal, named by his mother after Patrice Lumumba, the leader of the Congolese independence movement, and Malcolm X. While he was performing in the UK, he was noticed by the rising comic Ricky Gervais, who frequently mentioned him among his favorite comedians.